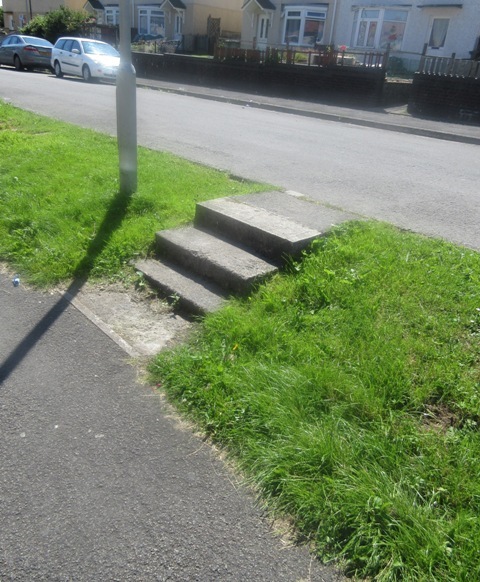 In conjunction with Cllr Helen Boggis our team are working with a family in Penywaun to help them gain access from the pavement outside their property. 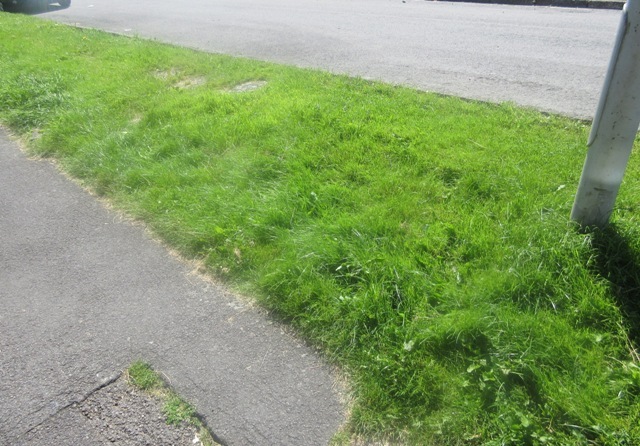 The grass banking is proving difficult for wheelchair users and carers to access the road and cars parked at the side of it. This is made worse by the fact that there is no appropriate drop kerb close to the area. Richard met with Cllr Boggis who raised the concern with us on Tuesday along with the family and council officer Simon Pritchard. They discussed possible solutions and agreed to explore these in various ways. Richard and Simon noted that the banking did not appear as steep in real life as it looked on the internet. The family concerned have had help and adaptations to their house but cannot go further than their gate without pain or difficulty, they could potentially become prisoners in their own home. The consensus of the meeting was that it would be a fairly easy job to install a small ramp allowing access to the road and freedom for the family. As the matter progresses we will keep you up-to-date, if you have a disability related query or an access issue please do not hesitate to contact us.